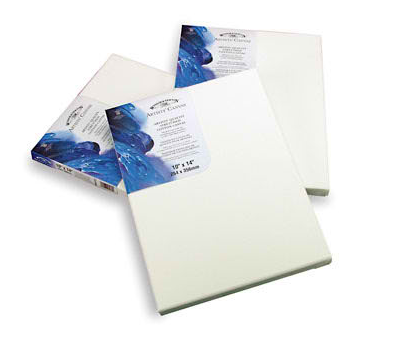 There is an additional 40% off Entire Purchase Artists Canvas Coupon available (works on both Regular Price & Sale Price), this coupon is valid through 4/17, and it's just perfect for this deal. With this coupon, each 16x20 Canvas will only cost $1.74 !! Wooohooo!! I have never seen these so cheap !! • Final Cost = $15.45 + tax = $16.43 for 10 Canvas !! It's like only $1.64 each!! **Mother's Day is coming up May 9th. Wouldn't a painting from the little ones be a nice gift for mom or grandma? The picture below is an early portrait of my kids drawn by one of my daughters. We framed the picture in a frame from a garage sale and gave it as a Father's day gift to grandpa. You could do the same type of thing with the framed canvas from Micheals for Mothers Day!